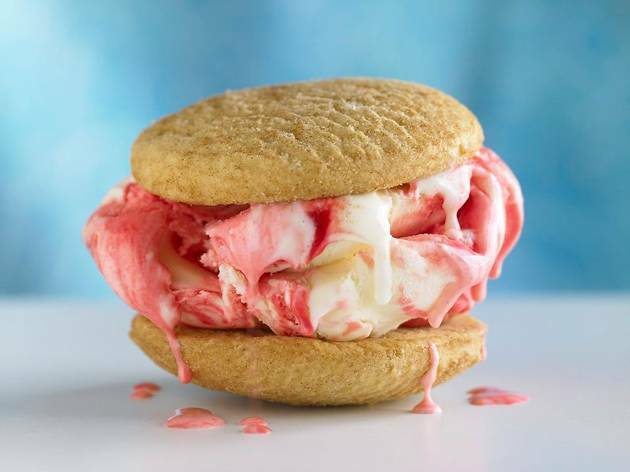 Is there anything better than a COOLHAUS ice cream sandwich? Yup. A free one. 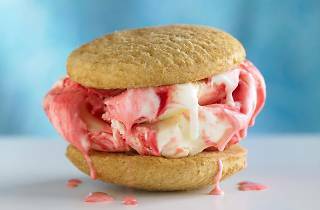 Eventbrite LA is making our dreams come true by giving away free COOLHAUS treats in four locations from September 23-28 in celebration of summer's end (because seriously, we're all over this heat). The catch? You have to register for this "App-y Hour" here, download the Eventbrite app, and then show them your ticket during check-in. Easy-peasy. The locations span the city: Ocean Park Blvd & Main Street near The Victorian in Santa Monica on 9/23; the MOCA box office on Grand Avenue in Downtown on 9/25; Wilshire Blvd between Ogden & Spaulding in Miracle Mile on 9/26; and Abbot Kinney Blvd for the Abbot Kinney Festival in Venice on 9/28. But really, all you need to know is "Free COOLHAUS."